Following the displacement of both staff and students from the Manitoba School for the Deaf during the Second World War, classes were held within other classrooms of the Winnipeg School Division, including at Isbister School (1947-1957) and Principal Sparling School (1957-1958). In contrast with its former Shaftesbury Boulevard location, these were day school classes, and not as a full (or partial) residential school. Accordingly, it was known as the Manitoba Day School for the Deaf, though also known by other names, including the Winnipeg Day School for the Deaf. In 1957, this site was selected by the provincial government to serve as the centre for deaf education in the metro Winnipeg area. To replace the temporary day schools held in other division facilities, this schools cornerstone was laid by Premier D. L. Campbell on 4 October 1957 and opened to students in early 1958, with all Deaf classes consolidated to this building. The $75,000 facility had four classrooms, lunch room, teachers room, principal’s office, and boiler room. The Society for Crippled Children and Adults provided transportation for students to and from day classes. Upon the release of a report by the MacFarlane Royal Commission on Education, which recommended closing the school and sending all deaf students to the Saskatchewan School for the Deaf, the provincial government opted instead to expand capacity at this site, adding four additional classrooms in 1960 at a cost of $40,000. In 1966, the Manitoba School for the Deaf returned to its former Shaftesbury Boulevard location before later moving to the former Alexander Ross School. This building was converted for use as the Manitoba Vocational Centre for teacher training and later underwent a large addition and alterations before being named, in 1972, as the Prince Charles School in the Winnipeg School Division. The cornerstone of this expansion was laid on 22 June 1972 by city Councillor and former Winnipeg School Board Finance Chair Olga Fuga, who later officially opened the school on 30 January 1973. The school was designed for teenage students with educational and mental handicaps, reportedly making it unique in Canada. It hosted around 100 second-level students and about 20 younger children. 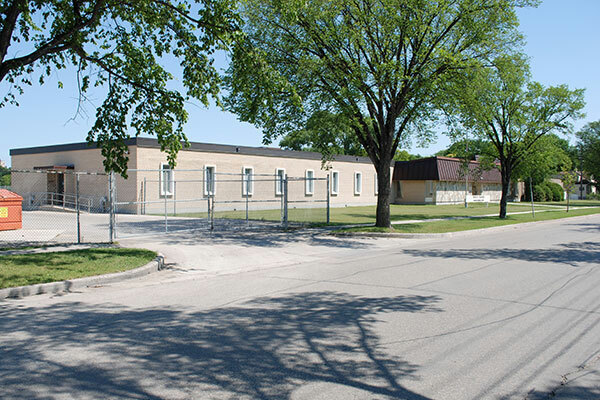 The facility was jointly used by the Winnipeg School Division, Seven Oaks School Division, and Assiniboine South School Division. Classes included arts and crafts, clothing, food, music, and physical education, accompanied by services from the Special Education unit of the Child Guidance Clinic, including psychology, social work, psychiatry, speech and hearing. In 1979, school trustees approved off-site classes for students to be held at Grosvenor School and Churchill High School. In August 1988, the Winnipeg School Board announced the school’s closure with the conclusion of the school year, after which attending students would be integrated into standard classes with access to programming at Churchill High School, Grant Park High School, Elmwood High School, St. John’s High School, Sisler High School, Gordon Bell High School, Andrew Mynarski VC Junior High School, and Hugh John Macdonald Junior High School. The school closed on 30 June 1989. 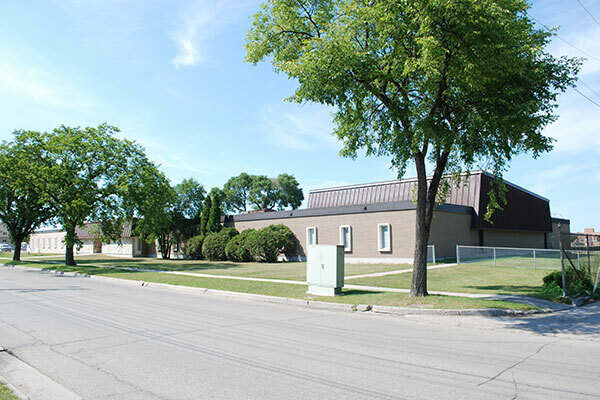 The Winnipeg School Division consolidated its three Education Resource Centres into this single and present facility, now known as the Prince Charles Education Resource Centre. Among the teachers of Prince Charles School were Dan Johnson (1977-1978, physical education), Maureen Dowds (1979-?, physical education), and Terry McLean (Vice-Principal). “Start work on School for Deaf,” Winnipeg Free Press, 7 October 1957, page 50. [Photo caption], Winnipeg Free Press, 2 September 1959, page 12. “Best pupils neglected, says probe,” Winnipeg Free Press, 1 December 1959, page 12. “Province not likely to close School for Deaf,” Winnipeg Free Press, 11 January 1960, page 15. “Many help exceptional children,” Winnipeg Free Press, 25 February 1961, page 11. “Wanted,” Winnipeg Free Press, 27 January 1966, page 46. “Tender for school building,” Winnipeg Free Press, 18 January 1972, page 21. [Photo caption], Winnipeg Free Press, 23 June 1972, page 11. “New school opened,” Winnipeg Free Press, 31 January 1973, page 3. “From tax consumer ... to taxpayer,” Winnipeg Free Press, 11 August 1976, page 25. “Students taught skills for the outside world,” Winnipeg Free Press, 6 September 1977, page 3. “Try-out class for deaf set,” Winnipeg Free Press, 11 July 1979, page 24. “Dowds opens door for others,” Winnipeg Free Press, 22 May 1982, page 65. “Inquiry told welfare laws broken here,” Winnipeg Free Press, 14 January 1983, page 6. Obituary [Ingibjorg McGlynn], Winnipeg Free Press, 10 October 1987, page 26. “Program to close,” Winnipeg Free Press Weekly North Edition, 24 July 1988, page 3. “Victoria School gets addition,” Winnipeg Free Press Weekly North Edition, 29 August 1988, page 3. “School move opposed,” Winnipeg Free Press, 11 December 1988, page 3. “New use for school proposed,” Winnipeg Free Press Weekly West Edition, 26 March 1989, page 3. “McLean new Principal,” Winnipeg Free Press Weekly North Edition, 8 July 1990, page 3. “Residents to appeal parking lot plan,” Winnipeg Free Press, 4 November 1990.